Which coin is worth five cents? The nickel, of course! 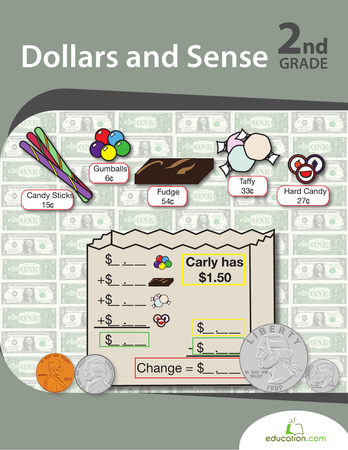 Teach your child about the five cent piece with a fun activity-filled worksheet. Not only will he learn more about the nickel, he'll also get practise with writing, counting, and coloring at the same time! Don't forget to print out the Penny, Quarter, and DimePages, too. Which coin features our first president? Kids learn as they also practise tracing, counting, and coloring the fabulous quarter. 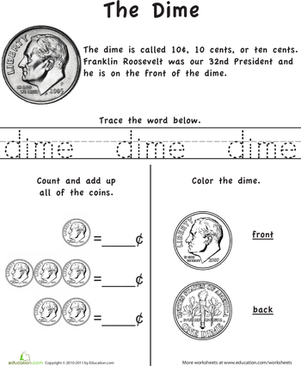 Kids learn all about dimes on this fun-filled printable. They also get writing, coloring, and even counting practise. Help your child learn to recognise U.S. dollars and coins with these printable money cut outs! There are so many coins on this worksheet, but which one is which? Challenge your child with identifying coins. 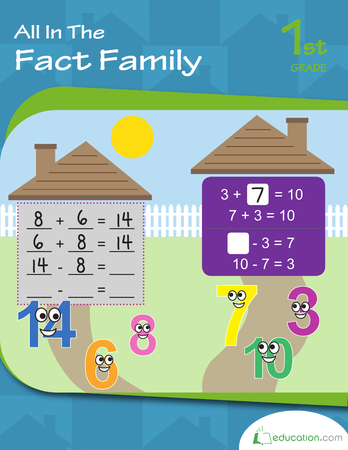 This workbook is all about helping first graders ace their money maths. 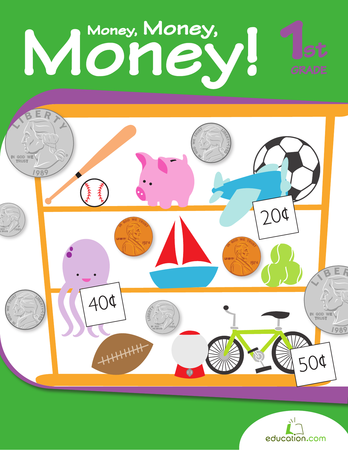 Counting coins, word problems, and coin matching will help familiarize kids with the basics of money. Understanding place value is fundamental to developing and mastering number sense skills. 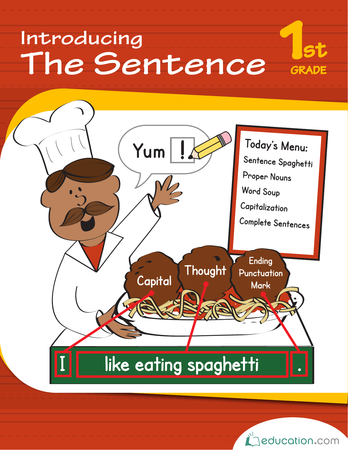 Use this assessment activity to evaluate how your first graders are coming along in their understanding of place value using tens and ones. On this penny printable, kids practise tracing letters, counting coins, and they even get to do some fun coloring, too. Help Dennis Duck by counting up the coins in each group and marking the correct value.